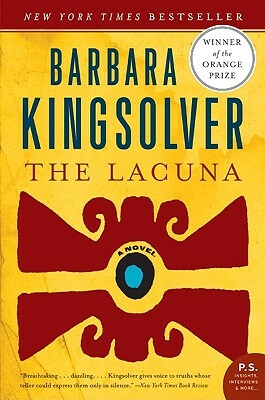 Barbara Kingsolver’s first novel in nine years is an engrossing story of revolution, art, searching for one’s place, all wrapped up in the atmosphere of 1930s Mexico topped with a tasty dollop of political machinations. Harrison William Shepherd spends his formative years in the household of Frida Kahlo and Diego Rivera. It’s there that he meets Leon Trotsky, becoming enmeshed in an unlikely group of bodyguards and politicos and seduced by this exotic and dangerous life. The story is told through narrative, letters, journal entries and articles as we follow Shepherd from Mexico back to the states, looking and yearning for a place to belong. This quiet man’s story is as colorful, textured and intriguing as a Kahlo painting.